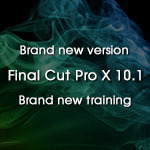 Larry Jordan's brand new "Final Cut Pro X 10.1 - Workflow and Editing" training series covers this major new update from Apple. With over fifteen hours of focused, comprehensive education, this completely redesigned video training delivers everything you need to know about Final Cut Pro X (v. 10.1), and all of it with Larry's trademark conversational approach. With this big an update, we totally redesigned all of our Final Cut Pro X training, incorporating all the latest features from Apple," said Larry Jordan. "I am really pleased with the results. Leading Final Cut author and Apple-certified trainer, Larry Jordan, today released all-new training covering the 10.1 update to Final Cut Pro X released today by Apple Inc. Jordan's new training, titled: "Final Cut Pro X: Workflow and Editing" includes more than 130 movies, providing more than 15 hours of in-depth training, all in high-definition QuickTime format; designed to get video editors up-to-speed immediately on the new software. "The new version of Final Cut Pro X has more than 200 new features," said Larry Jordan, president of Larry Jordan and Associates, Inc. "With this big an update, we went back to the drawing board and totally redesigned and re-recorded all of our Final Cut Pro X training. I updated it with all the latest features from Apple, plus everything I've learned about teaching the software since its initial release. I am really pleased with the results." The new training is grouped into fifteen chapters, of roughly ten movies each. Most movies run less than ten minutes, allowing viewers to get exactly the information they need, when they need it. Jordan's latest title is designed for both new and existing users to make the most of Apple's latest update! The two biggest changes in Final Cut Pro X are improved performance and a completely redesigned system of media management. "It is easy for a new editor to get confused, trying to understand the new updates to media management," said Patrick Saxon, marketing director for Larry Jordan and Associates, Inc. "That's where Larry excels. He takes the time to explain the basics, with specific suggestions on how to get started so new users can become successful immediately. Plus, he's structured the training, so if all you want is to see what's new, that's easy to do by just scanning the movie names." The training is available immediately as a download, a DVD and for all subscription members of Larry Jordan's Video Training Library. Upgrades are $49 for existing training customers. 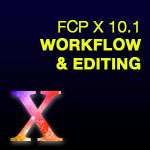 A download of the complete "Final Cut Pro X: Workflow and Editing" title is $99. Subscription membership is $19.99 per month, for a minimum of three months. LarryJordan.biz is the world's leading independent authority on Apple and Adobe media software. Providing both free and paid articles, blogs, and video training, Jordan's website has become the "go-to" site for editors to improve their skills, learn new tools, and keep clients happy. Larry Jordan is an internationally-renowned consultant and digital media analyst with over 35 years experience as a television producer, director and editor with national broadcast and corporate credits. As a foremost Apple-Certified trainer in Final Cut, he was among the first to see Final Cut Pro X and label it "jaw-dropping." His informative and entertaining teaching style provides video editors around the world with unique resources to increase productivity and enhance their skills. Based in Los Angeles, he's a member of both the Directors Guild of America and the Producers Guild of America. Jordan writes and edits a free weekly informative newsletter, which provides essential information to film and video editors around the world. He is the creator of hundreds of hours of online training and author of eight books on Apple Final Cut Pro and Adobe Premiere Pro software, published by Peachpit Press and Focal Press. Jordan is also executive producer and host of the weekly interactive internet radio show and podcast, Digital Production BuZZ, providing everything you need to know about digital media, production, post-production and distribution around the world. 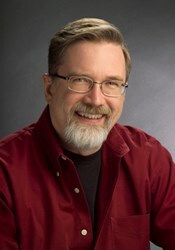 To learn more about Larry Jordan, please visit his website at: http://www.larryjordan.biz.